We are open everyday from 1130am to 10pm. Overall, food & service was good. Thank you. The music was a bit too loud. Food proportions are worth the price paid, however fish and chips was quite bad. Lime juice taste weird too.fried steak too big a portion and tbh the flavoring is quite jelak. juicy and tasty beef patty.. milkshake is good..overall.. satisfied! Prompt service. Generous servings/portions and family-friendly atmosphere! i was really satisfied with the service!! My friends felt that their mac and cheese were not baked. My shroom melt burger would be even better if there’s more dripping sauce to complement the beef patty. I supposed i need to add on for the sauce. Service was superb as the staffs are attentive to our needs. Table was not wiped thoroughly on arrival. Found a small dead fly on the table and it felt sticky. Cleaned the table myself using wet wipes. Service was excellent when the crowd was not as packed at 630 - 7pm. When the crowd came in at around 715pm, the service rendered lacked quality and personal touch. Funky ambience. Reckon to make reservation as the queue can be very long. fits the price tag. Thank you for making our son's 7th Birthday a memorable one with the birthday song and birthday brownie. 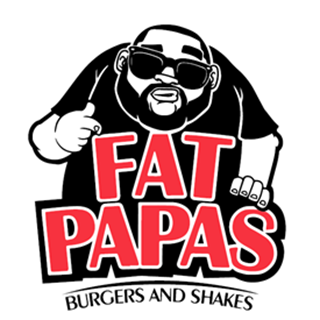 I had high expectations due to the overwhelming good reviews about FatPapas. Unfortunately, the food and overpriced milkshake was not impressive except for the Calamari Rings which I thought was exceptionally tasty. I have to praise on their service though, the staff was friendly and attentive. Food was served fast. Overall, a good dining experience but sadly, this will be my first and last to patronize FatPapas. 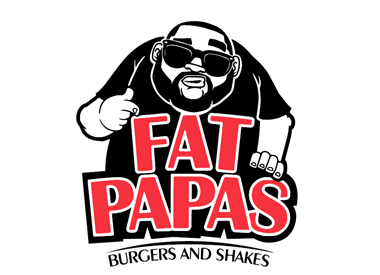 Great customer service from FatPapas crew, we booked in advance and the timing they serve us was perfect!